Get more coins and run even further with our essential hints and tips. We've just published our review of Disney's brand-new take on classic Temple Run gameplay, Temple Run: Oz. It's the most polished edition of the flagship mobile gaming franchise to date, and impressed us enough to pick up a 4.5 out of 5 score. If you're looking for a few handy hints and tips, we've got you covered with our in-depth guide to this outstanding mobile game. 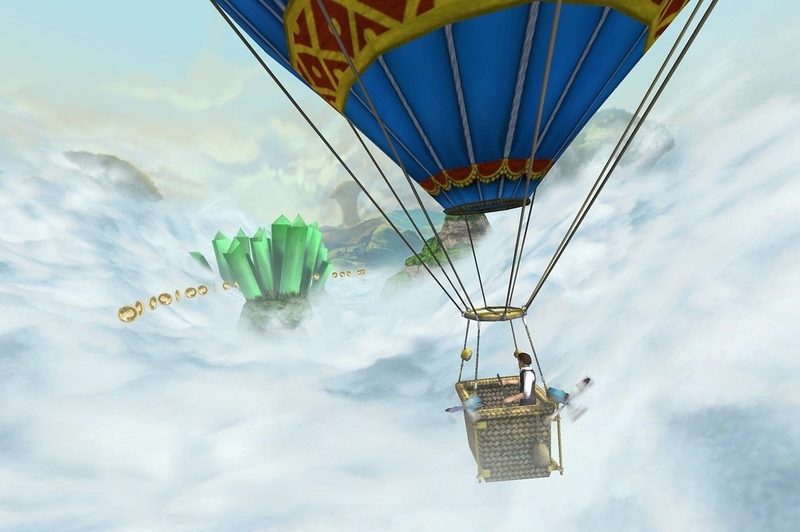 - If you want to take part in the balloon flight mini-game, you need to swipe in the correct direction when you come to a crossroads and the balloon becomes visible on the horizon. Once you reach the balloon, swipe upwards to grab onto the rope and crawl inside. 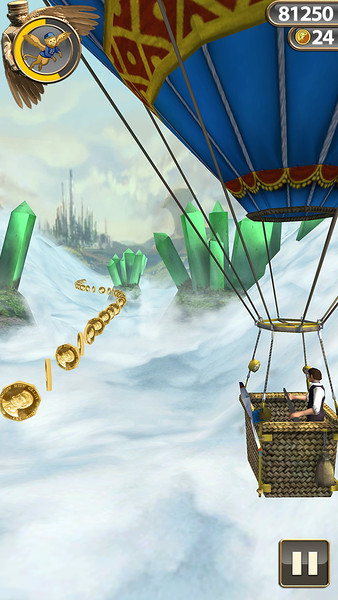 - During the balloon flight, it's essential that you avoid hitting the emerald crystals that sprout from the rocks in the sky. Having said that, you can take a few hits before your balloon is completely destroyed, so don't be afraid to go after some risky coins here. - You'll occasionally get the chance to switch to an entirely different environment altogether. Follow the correct directions at a crossroad, then survive the run until the new environment meter has filled up completely. It's worth keeping a gem in the back for these occasions, so if you stumble you can finish off the final few meters. - The environments are a little bit different in this edition of Temple Run. For a start, you'll have to deal with dynamic changes to the road layout, so always keep your eyes on what's happening further ahead. You'll need to jump over any crumbling masonry or tree roots that appear. - If an enemy swoops at you on the yellow brick road, you need to slide beneath its grasp. Don't do this too early, otherwise you'll stand up straight into it! Wait until the creature is almost touching you before ducking underneath it. - If you see a key on the road, make sure you jump up to grab it. At the end of the run, you'll be given the chance to pick a music box at random. Depending on which one you select, you could receive a decent points or coin boost. - Don't forget to upgrade your abilities. You can do this by heading into the game store and spending some of the coins you've collected on power-ups and enhancements. - The Magic Magnet will attract all coins on the playing field towards you, the Fireworks are good for distracting enemies, the Coin Bonus gives you an instant injection of cash on your run, the Score Bonus improves your score in line with your multiplier, the Shield will save you from one clumsy encounter, and Finley's Boost will race you ahead safely for a period of time. - If you want to get more coins in Temple Run: Oz, we recommend investing in the Double Coins ability early on. This will cause double-value coins to appear much earlier in each run, ultimately giving you more cash, more quickly, to upgrade other areas of the game. - Getting bored of the early stages of the game? There are two types of headstart available in Temple Run: Oz, one that gives you a 1,000m boost from the start, and another that gives you a 2,500m boost. These cost coins though, and can only be used once. - Getting an unbroken run of coins fills up your coin meter. Once it's filled completely, you can double-tap anywhere on the screen to activate a temporary power-up. Don't forget to make use of these power-ups as soon as they become available.